Berkshire Hathaway stock is the Rolls Royce of the stock market. It has the price tag to prove it. Not only is the company run by legendary businessman Warren Buffett, but the Class A shares of Berkshire Hathaway (BRKA) eclipsed the $200,000 mark for the first time ever on Thursday. One share of the "Warren Buffett stock" now costs about the same as the median home in the United States. 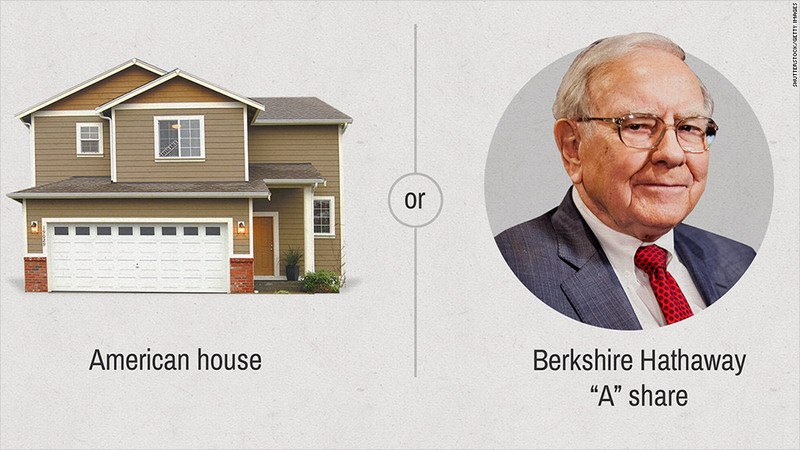 Buying Berkshire stock is essentially a bet on the 83 year-old Buffett himself. He is heralded as a demi-god in the investment world. 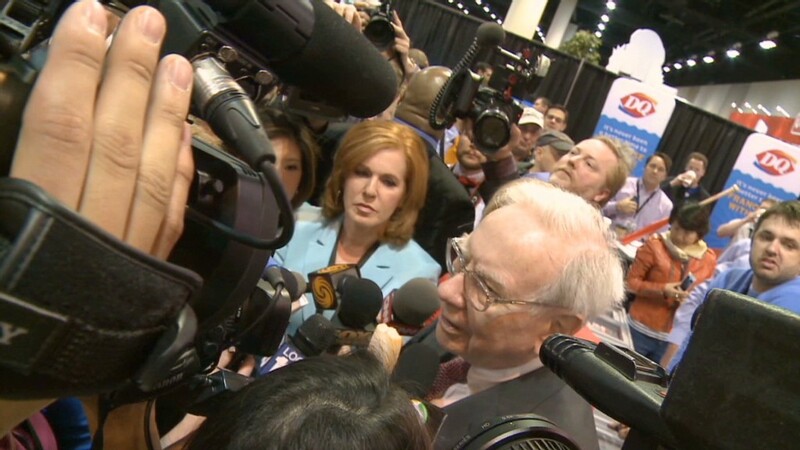 The scene at the annual Berkshire Hathaway Investor Day in May resembles a rock concert or state fair with tens of thousands of people, and someone paid $2.2 million in a charity auction for a lunch with Buffett. Berkshire is actually a conglomerate that takes stakes in many different business. Over the years, Berkshire has been involved in a wide swath of industries including railroads, insurance, manufacturing, retail, newspapers, and food and beverage. Its newest stake, which the company revealed Thursday, is in the cable company Charter Communications (CHTR). It bought 2.3 million shares, according to a filing with the SEC, which is worth about $361 million. The guiding principle of the firm has always been to find solid companies that will do well over the long-term -- for years, not just a few quarters. The "buy and hold" mentality. Earlier this month, the company reported that it grew its profit by $2 billion in the second quarter. Berkshire Class A (BRKA) shares are up over 13% this year -- far ahead of the Dow and S&P 500. But what really sets Berkshire apart is the company's incredible performance over decades. The stock has had an average return of 22.6% a year since crossing the $100 per share milestone in May 1977, according to Howard Silverblatt at S&P 500 Dow Jones Indexes. The Berkshire A shares first topped the $100,000 mark in October 2006. Reaction to the Berkshire stock rise on StockTwits, a social media service that is popular among traders, was swift. "Very few people have created shareholder value like Warren Buffett. I'm glad I lived during the 'Buffett Era' $BRK.A ," said kknezovich. "$BRK.A $200,000 per share. Should have bought a single share at $80,000 instead of a house," quipped CoderTrader. The stock has the highest share price in the market, and that's how Buffett likes it. While many companies do stock splits once their share price becomes out of reach for average investors (Apple had a split earlier this summer), Buffett has resisted the move because he believes it encourages short-term, speculative trading. He wants investors to be around for a long time. Instead of a stock split, Buffett took a different approach. In 1996, he created Berkshire Hathaway Class B (BRKB) shares, which trade around $135 -- a small fraction of their Class A counterparts. Berkshire Class B shares are also up over 13% this year.